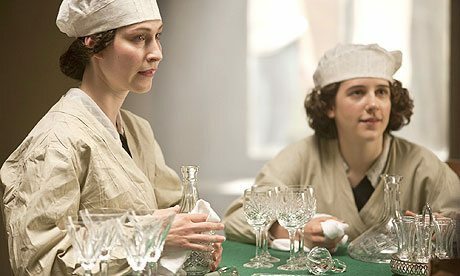 Hot on the heels of the success of Downton Abbey, which captivated the hearts of English viewers during 2010, comes news of the all new three part sixth series of its inspiration, Upstairs Downstairs. It is another character laden piece filled with wonderfully flawed people ensuring that everyone viewing feels right at home. 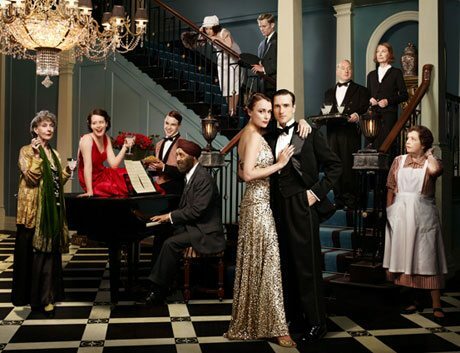 The series screened from December 26 2010 after Downton Abbey finished its first season. The soundtrack was scored by London based musician, producer and BAFTA nominated film and television composer Daniel Pemberton and, the story for the first three episodes, is set against the drama of the 1936 abdication crisis – a popular topic. Upstairs Downstairs is about the relationship between a master and servant from the 1890’s until the demise of the traditional class system in Britain during the early 1940’s. The five season original series was repeated many times and captured a huge audience weekly in England during the 1970’s, which was truly outstanding in rating terms. In Australia it was also exceedingly popular, especially with those whose families who had been ‘in service’ before migrating to build a new life. Heidi is very pleased BBC executives have given the go ahead to more stories from 165 Eaton Place, Belgravia in 2012, following their rating success. And, graciously Downton Abbey creator Julian Fellowes welcomed the return of Upstairs Downstairs, noting both series could co-exist without a problem. 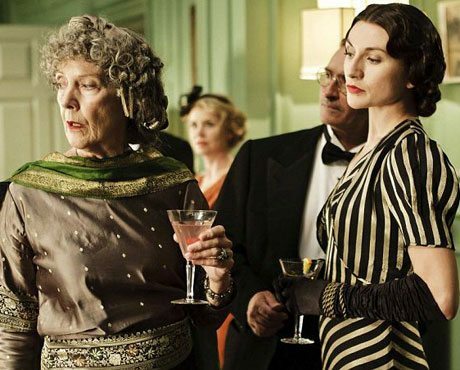 Whether the characters are upstairs or downstairs they are ­all living in close proximity to one another and the dramas they are involved in will engage most viewers. 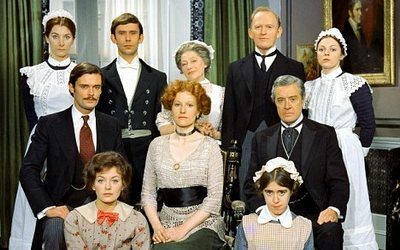 A landmark series in its day, Upstairs, Downstairs tackled the social, political, historical and ethical issues of its times. 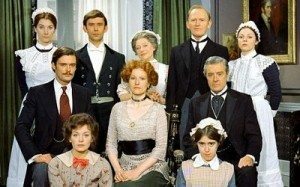 The new series does the same, although featuring the Holland family, a new generation of residents moving into a Regency styled townhouse at Belgravia and selecting those who will serve them. It picks up after the original Bellamy family left 165 Eaton Place after forty years there. 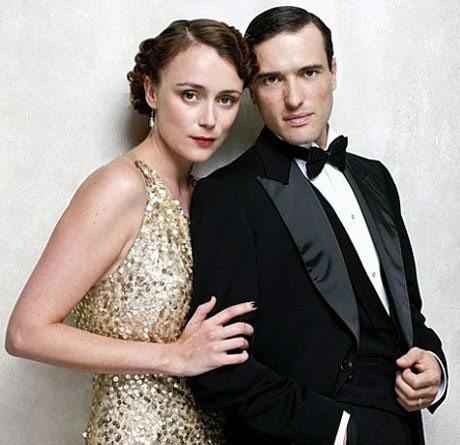 The remake features British actress Keeley Hawes (Spooks, Ashes to Ashes), who plays the beautiful, ambitious Lady Agnes Holland married to the very dashing Sir Hallam Holland, heir to what is a relatively new baronetcy and played sensitively by Ed Stoppard. As master of the house, and a well-connected diplomat, he takes on a duty of care to all those in the house under his protection. He is also a confidant and friend of the Duke of Kent, the younger brother of the new King Edward VIII. He is terrified of the mistakes his family is making, and so Sir Hallam is a listening ear, holding the trust of the royal family as well. The exteriors for the Regency style townhouse were shot at Leamington Spa, much easier, and cheaper than downtown Regency London. 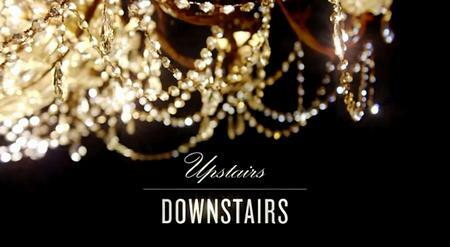 The stylish interiors are beautifully built sets with a great attention to decor detail. 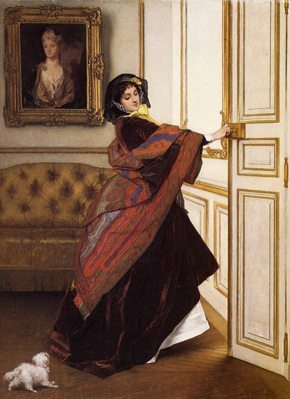 The day room the dowager Lady Maud inhabits is an eclectic, dramatic masterpiece, a place where we all want to grab a chair and a book by the fireplace. Clair Foy plays Lady Persie, the self centered sister of the mistress of the house. 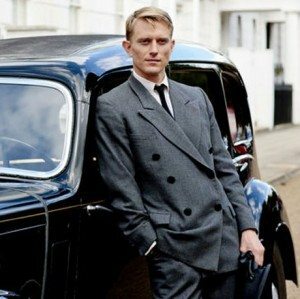 She crosses the deep divide and enters into a relationship with the chauffeur Harry Spargo, played by Neil Jackson. He is similarly political to her views but his interest is in the far-Right movement of the Blackshirts. Spargo is at the centre of the ‘Battle of Cable Street’ riot on October 1936, which actually took place in London’s East End between anti-fascists and the Metropolitan Police, overseeing a march by Oswald Mosley’s British Union of Fascists. They deliberately marched through Jewish districts at London. And, the headstrong Lady ‘Persie’ is at the centre of the action with him. He tries to tell her “The thing is Lady Persie there are rules, and you have to stick to them as much as us“. Headstrong and wilful she demands he treat her like a lady. Unphazed Spargo says he won’t unless she learns to act like one. She walks a dark and dangerous path as she then takes on the ideology of Nazi Germany when she meets Joachim Von Ribbentrop, future foreign minister of Nazi Germany, who turns up at a party at Eaton Place. At the time von Ribbentrop was sending flowers every day to the American divorcee for whom King Edward VIII abdicated, Wallis Simpson. And, it is she who brings him to the party as her guest. 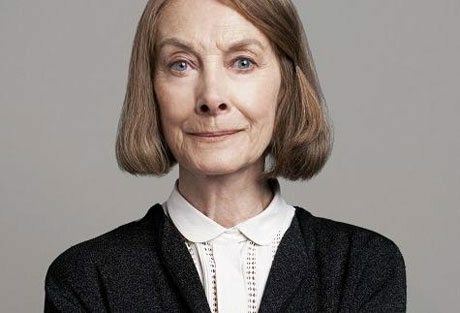 She comes at the invitation of Lord Holland’s mother, Lady Maud, played stylishly by veteran actress Dame Eileen Atkins. One of the co-creators of the original series Dame Eileen couldn’t appear in it due to other commitments. So she relishes her role in this one. She plays a free thinking intellectual, Lady Maud, who is also the formidable matriarch of the upstairs group at 165 Eaton Place. She returns from spending many years in India bringing a pet monkey named Solomon, who enlivens mealtimes, and her Sikh servant played artfully and with conviction by Pakistani-born British actor Art Malik. They are an interesting pairing. 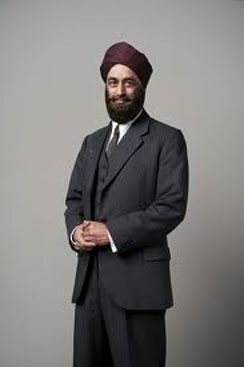 He is her secretary Mr Amanjit, who is recording her memoirs as she dictates them. He doesn’t really fit either upstairs or down so he stays by his mistress’s side as his allegiance to her is 100%. Amanjit is there for the greater good. His morality is uppermost and he is loyal and true. He endeavours to stay out of the drama filled lives of the family until fate finally draws him in. 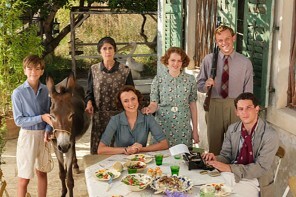 He gets involved with the Jewish refugee Rachel, a lovely young woman who joins the downstairs team as a maid. Elegant and quietly spoken Rachel harbours a secret, which she only shares with Mr Amanjit. One that has enormous repercussions in episode three. The original cast included Jean Marsh as Rose Buck, the downstairs maid who was the glue that held the family together and helped keep a balance between upstairs and down. In the new series Rose is running her own ‘in service’ recruitment agency for discerning households when approached by Lady Agnes to help her choose her staff. 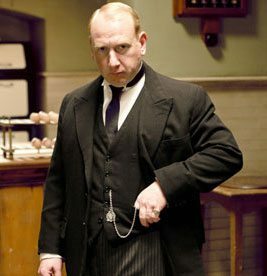 Because times are tough she takes on the role of Head Housekeeper herself at the newly renovated Eaton Place, working with the new Butler Pritchard, played by Adrian Scarborough. His character is the opposite of the puritanical Scot who once ruled below stairs with a rod of iron, showing compassion and interest in all those who are in his care at the dawn of a new age in staff service relationships. Downstairs the class conscious cook Mrs Thackery is also fastidious and constantly at odds with Rose. She also keeps a watchful motherly eye over Johnny the footman, played by Nico Mirallegro. Ambitious and dedicated, he is trying to escape the poverty of a Northern mining town. He messes up because he lacks experience and sobriety and after a kerfuffle at the local pub is taken into custody. After drying out and serving time he later returns to his very forgiving upstairs downstairs family. They are all happy he’s back. Especially the rescued orphaned Ivy who is defiant, young, spirited, very loyal and as ‘sharp as a cartload of monkeys’ and, his confidant. And what a great lot of characters they are. It is a class act, really. Executive Producers are Piers Wenger (Head of Drama BBC Cymru Wales), Heidi Thomas, Kate Harwood (Controller BBC drama series and serials) and Rebecca Eaton of US broadcaster WGBH. Episodes one and two are directed by Euros Lyn (Torchwood and Doctor Who) and Episode Three by Saul Metzstein (Micro Men). The producer is Nikki Wilson (Doctor Who and The Sarah Jane Adventures).